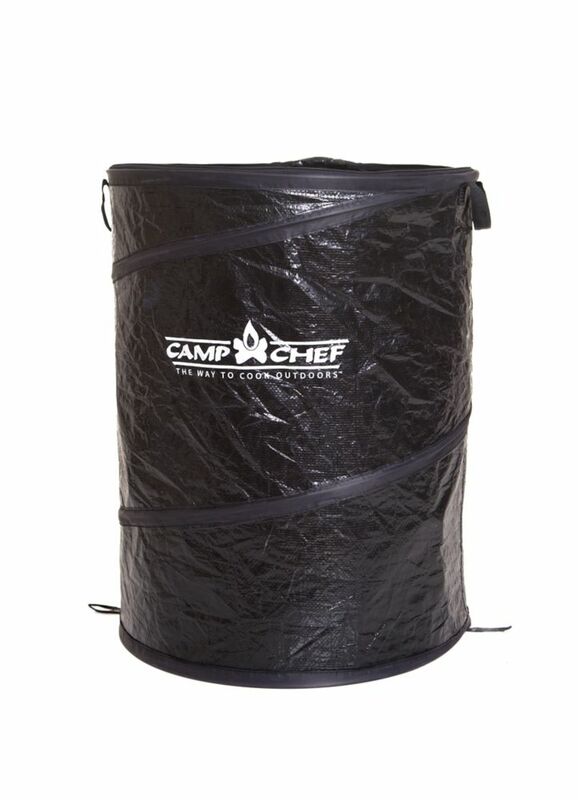 Leave your campground as beautiful as you found it with the Camp Chef Collapsible Trash Can. This garbage can packs up small for storage and transportation then opens up to a 35 gallon capacity whenever and wherever it's needed. The large capacity and portability make it perfect for camping, tailgating, backyard barbecues or weekends in the RV. The zipper lid and carry handles expand versatility and make it easy to handle. Iceless cooling ready for the road The Koolatron P20 portable thermoelectric travel cooler provides the ultimate grab and go convenience for anyone who spends long hours in their vehicle. This iceless cooler will help save you money and eat healthier. Skip the hassle of ice and the costly road side restaurants. With your Koolatron 12 v cooler you can pack and cool healthy and refreshing snacks and drinks no matter where the road takes you. In cooling mode this 12 v cooler can cool its contents up to 40F (22C) below the surrounding temperature. Or switch the plug to warming mode and you can use your Koolatron cooler as a warmer. It will warm up to 135F (57C) and can be used to keep take-out food or drinks warm while you are on the go. Plug your cooler into any 12 volt DC vehicle plug or use the optional Koolatron AC Adapter (sold separately) to plug this cooler into any household outlet. The Green Glacier cooler utilizes a NATURAL straw insulator that has been used for centuries from Roman ice houses and even today in homes. By doing away with chemical foam insulation we are reducing the environmental impact to manufacture a beverage cooler, and using a replenishable resource that insulates better. Collapsible Garbage Can Leave your campground as beautiful as you found it with the Camp Chef Collapsible Trash Can. This garbage can packs up small for storage and transportation then opens up to a 35 gallon capacity whenever and wherever it's needed. The large capacity and portability make it perfect for camping, tailgating, backyard barbecues or weekends in the RV. The zipper lid and carry handles expand versatility and make it easy to handle. Collapsible Garbage Can is rated 5.0 out of 5 by 1. Rated 5 out of 5 by SKAIR from A traveling GO anywhere trash Bag Purchased 2 last month one for the house one for camping. We love the durability of the bags and how small they collapse to save space. Wife moved using it with a liner in the yard for clippings and trash from planting. If you Camp or hit the local parks you have YOUR own clean trash holder ( use a liner) then off to dispose of it in the public can.